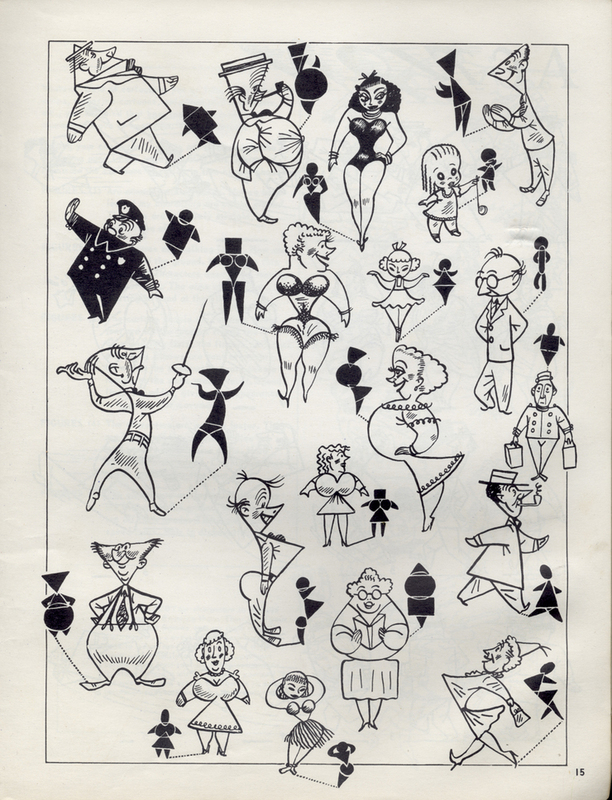 Frank Tashlin’s How to Create Cartoons. 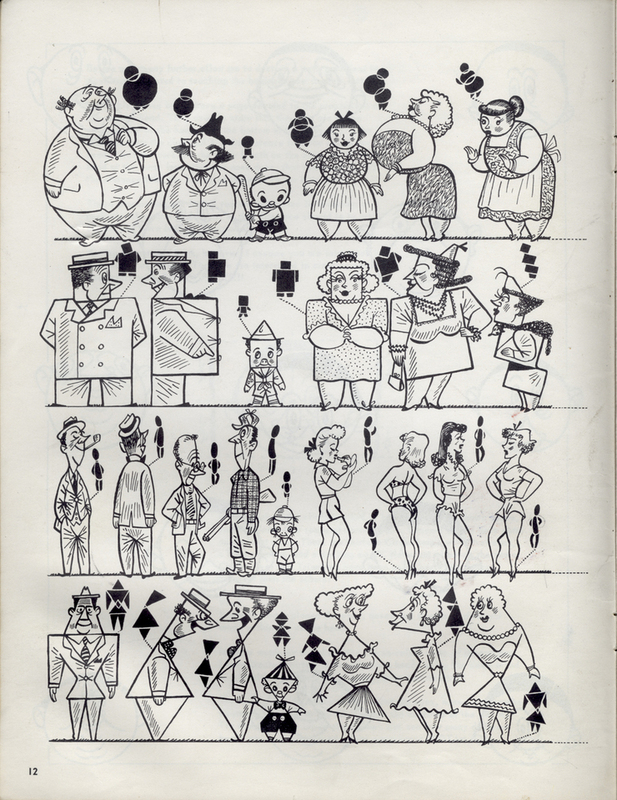 I enjoyed the post James Gurney did on Frank Tashlin so much that I decided to share some more pages with all of you. 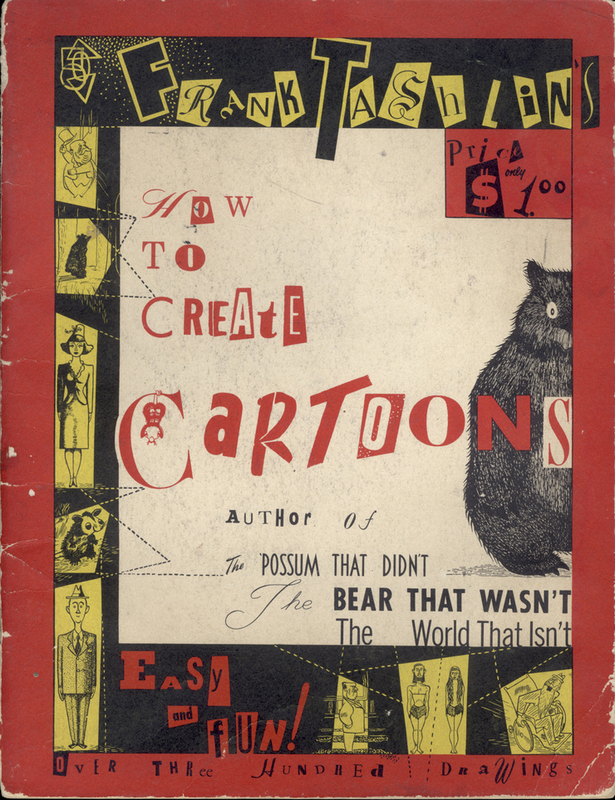 Also to alert any of you who don’t read James’ wonderful art/illustration blog to this quite amusing book. Definitely check out the Gurney Journey post as it covers different pages than those shown here. 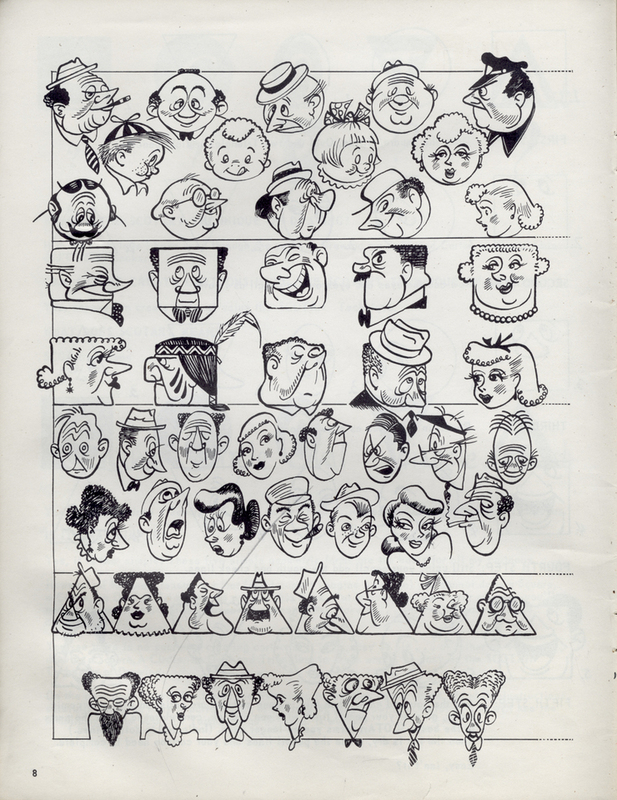 These faces show the SCOT method Tashlin demonstrates in this book. SCOT means square, circle, oval, triangle which are the basic units that all the pictures are composed of. Notice how each figure has a little diagram next to it showing the arrangement of basic geometric shapes that comprise its composition. I liked the pages others had posted so much that I dug around until I found a post that contained scans of the entire book. The style is a bit dated, it is from 1952 after all, but it’s got a lot of still valuable information and the authors treatment of the subject matter holds true. On the other hand you (like me) could choose to look at it through nostalgia goggles which render it entirely wonderful.